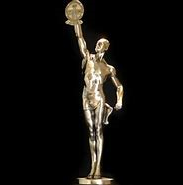 Celebrating the Best Editing of the Year in Film, TV and Documentaries, the American Cinema Editors held their 69th Annual ACE Eddie Awards February 1, 2019 in the International Ballroom of the Beverly Hilton Hotel. Over 1000 professionals were in attendance at this black-tie ceremony. President of the American Cinema Editors, Stephen Rivkin, ACE, presided over the evening’s festivities with comedian Tom Kenny serving as the host. Visionary artist and Academy Award® winning filmmaker Guillermo del Toro received the organization’s prestigious ACE Golden Eddie honor, which was presented to him by friend and collaborator Octavia Spencer, who starred in del Toro’s Oscar® best picture-winning film The Shape of Water last year and is one of the producers of Green Book, which was nominated tonight for Best Edited Feature Film (Comedy). Spider-Man: Into the Spider-Verse – Robert Fisher, Jr.